If you are using fixed-term bonds, you may want to take a moment to go back over the contract that you signed to see what sort of renewal clause you agreed to at the beginning. 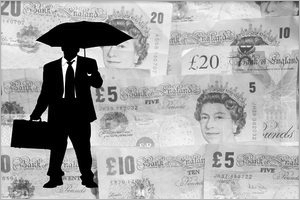 The U.K. Financial Conduct Authority or FCA has recently been reviewing a number of different firms, and it has not been giving a positive review to many of them due to these clauses. Some of the clauses were even deemed not to comply with Treating Customers Fairly (TCF) rules and regulations. To make sure that your money is being managed correctly, you should look over your own contract in the wake of these findings to make sure that it is fair. One of the main problems the FCA found was that many firms were acting of their own accord when the bonds reached maturity, deciding what to do with the money on their own if they have not received direct orders from the owner already. When they should have been reaching out to the owner to find out what he or she wanted to happen with the money, they were just renewing the bonds or placing the money into other bonds without permission. They did not do this when standing orders said otherwise, but they should have consulted the owners, rather than automatically renewing the bonds. Another thing that the FCA found was that many of the contracts had very ambiguous wording that could be interpreted in a variety of ways. This gave the firm the power to do whatever it wanted, regardless of whether or not it was in the owner's best interests, and then say it had acted within the language of the contract. For instance, many contracts just stated that the firm would automatically renew the bond or place the money into whichever bond was deemed best at the time. The criteria for deciding which was 'best' was not established, so firms could really do anything that they wanted and then find a justification for it later. This was not language that would have tipped people off when reading the contracts in the first place, but it was very detrimental to the way that their funds were managed. Furthermore, some of the firms were actually going so far as to add these renewal clauses to the contracts that had already been signed. When you signed yours, there might not have been any sort of renewal clause at all, so you may not have been too worried. Have you checked it lately, though? They could have slipped one in during the life of the bond, making it look like you agreed to something that was not actually part of the original contract. If you do not have a copy yourself, though, how will you be able to prove it? The firms were banking on customers just accepting that it must have been in there the whole time since it was on the most recent copy. Independant companies like Maple Leaf Financial, can check and investigate contracts on your behalf. This practice clearly did not comply with TCF regulations and the FCA was outraged to see it happening. While other clauses were a sort of underhanded way to take advantage of customers, this practice was a clear, active way to alter contracts so that they were in the best interests of the firm, regardless of how unfair that was to the people who had signed the contracts. The names of the exact firms that were involved have not yet been released, but the FCA said that many of them - the list runs up over a dozen in total - were major players in the industry. Some of them could even be found on lists that promoted them as the best options of consumers. If you have a savings bond, even with a reputable firm that you thought you could trust, you may want to examine the language of the contract that you signed. About the author: Tim Capper writes about financial products in plain english. The world has changed. People are waking up to what has happened here in the UK during the past 30 years.